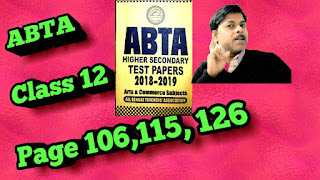 Hi students today we will discuss about some important Answers to the English test paper ABTA 2019 page 126. Ans : see the answer from the suggestion of "the eyes have it"
Ans : see the answer of prose section - question 2. Ray and Martin solved Model 8. 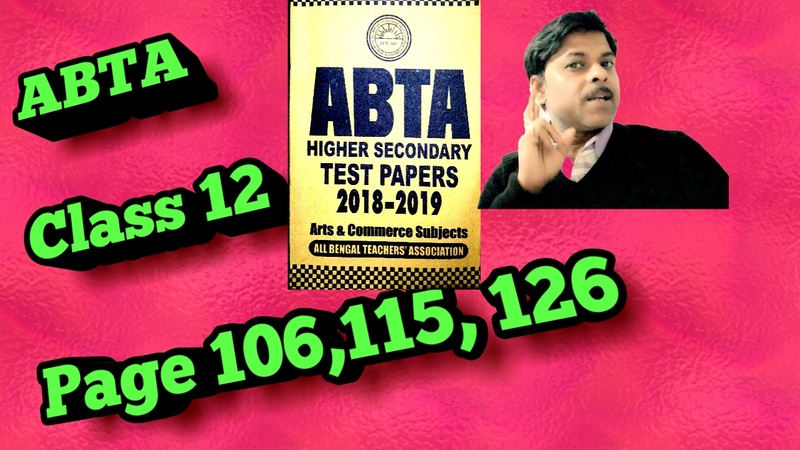 Ans : see the answer of prose section ABTA test paper 2019 solution page 105. Question no 4. Ans : see the answer of prose section question no 4. Ray and Martin solved Model 6. Ans : see the answer of suggestion series of poetry "on killing a tree". Ans : here the smile of the soldier lying in the open Valley is referred to here. It is compared to that of an infant because the smile of the soldier is innocent and without guile. See the answer of poetry section model 2. Question no 3. Ans : see the answer of poetry section Ray and Martin solved model 4. Question no 3. Ans : see the answer of poetry section Ray and Martin solved model 1. Question no 4. Ans : chubukov is the father. See the answer of proposal Ray and Martin solved Model 1. Question 3. Ans : see the answer of proposal question no 1. Ray and Martin solved Model 4. See the answer of writing section 1. Ray and Martin solved Model 10. With due respect to you I am writing to you against my cheque which has been dishonoured by your bank in spite of having sufficient funds in my account on 17th January, 2019. I shall be highly obliged if you kindly look into the matter and take necessary steps to recover my cheque as soon as possible.